Get yourself in the online gaming action with the PlayStation Plus 90 days. This 90 package is great for the gamer who are passionate about seasonal gaming play. Please keep in mind, this PlayStation Plus 90 days is intended for USA gaming. 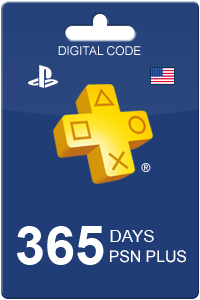 How to buy PlayStation Plus 90 days USA? Livecards.co.uk makes buying PlayStation Plus 90 days USA as easy as pie! All you need to do is fill in your email address, pick a payment method, complete the payment and voila! The code is yours.